Ponca City, Okla. (March 20, 2012) – 94 of The Bass Federation’s best are packing their bags and heading to Flippin and Bull Shoals, Ark., next week for the 2012 TBF Federation National Championship, presented by The National Guard on Bull Shoals Lake. This will mark the first time in the federation’s 44 year history a championship event has been held in the backyard of the legendary founders of Ranger Boats, Forrest and Nina Wood, who got their start guiding on the white river and helped birth a multi-billion dollar bass fishing industry. Anglers from seven TBF divisions competed locally in a no-entry fee 2011 TBF Division Championship to qualify for the event. From the division championships two anglers, the first place angler as the boater and the second place angler as the co-angler, from each TBF affiliated state federation in the U.S. and Canada advance to compete in the no-entry fee 2012 Federation National Championship. The field also contains the reigning Association of Collegiate Anglers (ACA) National Champions. All 94 championship anglers will face-off on Bull Shoals Lake out of Bull Shoals Lake boat dock, just down the road from the Ranger Boats plant, in the premier national contest of federation anglers. The event is held in conjunction with an FLW Tour Major being held on Table Rock Lake out of Branson, Mo. The final day federation anglers will weigh-in alongside the FLW Tour Pros on the same stage in Branson, Mo. There are three official competition days, March 29-31. The entire field will compete Thursday and Friday with weigh-ins at Bull Shoals Lake boat dock in Bull Shoals, Ark. The final day the field will be cut to the top boater and co-angler from each of the seven TBF divisions. All 14 of those division champion anglers earn a berth in the 2012 BFL All-American. The final day is all about being crowned national champions with the best three-day accumulative weight live on the FLW Tour main stage in Branson, Mo. Both the national champion boater and co-angler will advance to the 2012 Forrest Wood Cup World Championship. The TBF National Champion boater earns the $100,000 TBF “Living the Dream” prize package, a unique and unequaled prize in the sport of fishing awarded each year to the champion boater. The package includes a cash prize, sponsor merchandise, guaranteed spots in the 2012 BFL All-American and the 2012 Forrest Wood Cup, fully paid entry fees as a tour pro in all the 2013 FLW Tour majors, travel expense stipends for each event, and use of a TBF “Living the Dream” wrapped Chevy truck and Ranger boat powered by Evinrude outboard for the full 2013 season. All weigh-ins will be live streamed daily. First two days will be on bassfederation.com and the last day through FLW Live on flwoutdoors.com. All events and weigh-ins are free to the public. “Everything is ready for their arrival. Ranger Boats has 47 brand new boats ready for the anglers to fish from as they do every year, the lake is in great shape, and if the fishing holds up we might just see all time federation weight records for the championship event,” TBF President, Robert Cartlidge, said. “From there it’s up to the anglers to see who can claim the titles, prizes and all the glory. Everyone here earned their spot; they are the very best of literally tens of thousands of TBF members. No matter where they finish at this year’s championship, pride in that fact is something that can never be taken away from them. On a national average a TBF member spends less than $200 a year in total TBF dues and entry fees. The cost lets them advanced through their local state events to the Federation National Championship with the chance to advance there to the biggest events in the industry; in today’s economy, it’s a great deal for the money. 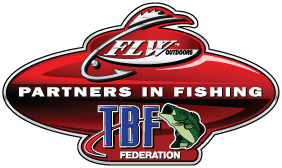 TBF and its sponsor partners provide all 94 champion anglers entry fees to the official tournament, hotel rooms and cabins for the event, banquets, and amenities. Additionally, they’re provided use of a state of the art fully-rigged Ranger Boat. The Bass Federation Inc., (TBF) is the oldest and largest, organized grassroots angling organization in America. TBF is owned by those it serves and is dedicated to the sport of fishing. TBF affiliated state federations and their member clubs conduct more than 20,000 fishing, youth and conservation events at the local level each year and have provided the foundation for the entire bass fishing industry for more than 40 years. For more information, visit bassfederation.com, or call 580.765.9031. © 2019 Kentucky Bass Federation.